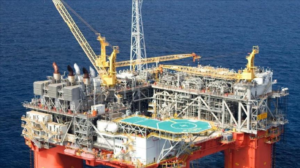 BP PLC approved a $1.3-billion expansion at Atlantis field in the Gulf of Mexico and said recent seismic imaging identified 1 billion bbl of additional oil in place at Thunder Horse field. In addition, BP expects its net gulf production will reach about 400,000 boe/d in the next decade. While BP made a final investment decision on Atlantis Phase 3, co-owner BHP has yet to commit to FID. BP operates Atlantis and holds 56% interest while BHP holds 44% interest. Atlantis field, which lies in 4,400-7,100 ft of water 130 miles offshore Louisiana, was developed using a semisubmersible. BP’s upstream chief executive said BP considers its gulf holdings as young, with only 12% of hydrocarbons in place having been produced. “We can see many opportunities for further development, offering the potential to continue to create significant value through the middle of the next decade,” Looney said. Over the last 5 years, BP’s net gulf production has increased by more than 60%, rising to more than 300,000 b/d. BP anticipates its production growing to around 400,000 boe/d through the middle of the next decade. The growth will be supported by recent project startups, including Thunder Horse Northwest and Thunder Horse South expansions and the Thunder Horse water-injection project, as well as the addition of a second platform, Argos, at Mad Dog field, scheduled to come online in late 2021.